Mauritius Telecom’s Managed Global MPLS VPN Service is an international virtual private network solution based on IP/MPLS (MultiProtocol Label Switching) technology. This solution is designed to help global businesses enjoy the benefits of converged voice, video and data on a single network. Our Global MPLS VPN service is built on resilient network architecture Interconnection with global MPLS Partners at MT’s Points of Presence (PoP) in Telehouse 1, Paris and Telehouse West, London. 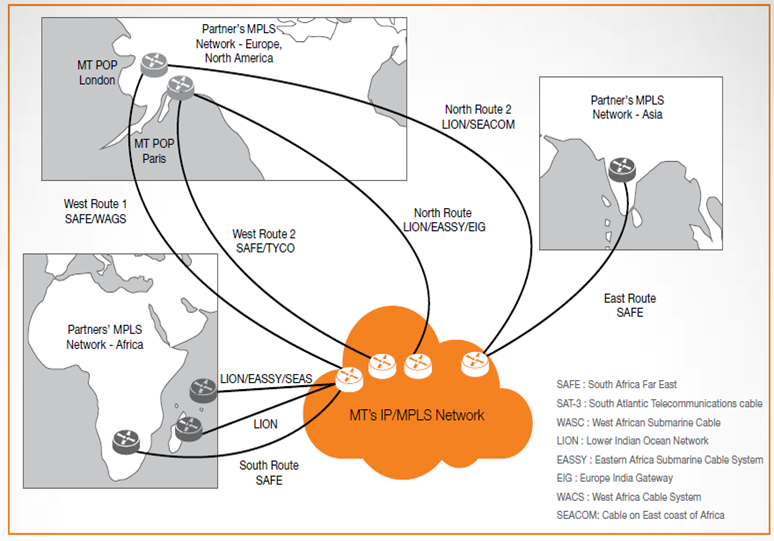 MT has also implemented an MPLS network with Partners in Asia, Africa and the Indian Ocean Islands of Seychelles and Madagascar.